A committee created by Mayor Jim Kenney to address the opioid epidemic in Philadelphia unveiled this week 18 recommendations as part of its final report. 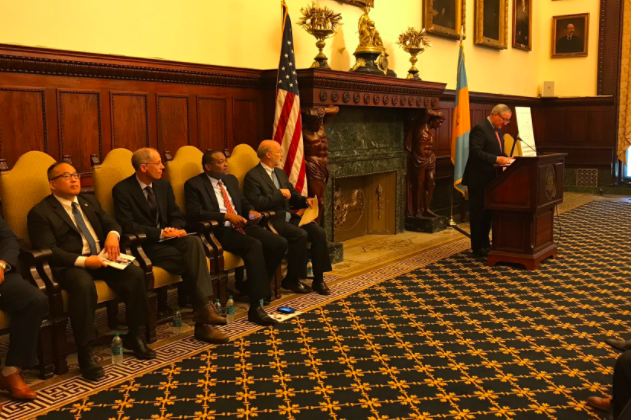 On Friday, the task force presented its findings to Kenney after four months of meetings with health experts, law enforcement officials and other first responders, as well as outreach to community members. Gov. Tom Wolf joined Kenney at a press conference to show support to efforts to curb the drug epidemic. Formed in November, the 23-member committee was comprised of representatives from city council, addiction experts, researchers, law enforcement officers and "persons with lived experience." The task force estimated that there are more than 70,000 heroin users in Philly while the city reported 907 deaths due to drug overdose last year. The 18 recommendations fell into four categories, including prevention and education, treatment, overdose prevention, and involvement of the criminal justice system. The most notable item in the report was the task force's support of "user engagement sites." These locations would allow individuals to consume drugs under medical supervision, access sterile injection equipment and receive treatment. "Safe consumption facilities have a long record of success in reducing the health and social harms of drug use among persons injecting heroin and other opioids," the report reads. However, there are numerous legal issues that would need be to be addressed before the sites could become a reality, the task force admits.